The Al Rawda Ajaan by Rotana offers a world of elegance with exquisite accommodation in the heart of Abu Dhabi. A variety of 109 rooms and suites are available and all feature multi-channel satellite TV, complimentary tea & coffee making facilities, bathrobes, telephone, personal laptop sized room safes, same day laundry & dry cleaning service, daily housekeeping and there is a high-speed internet connection in public spaces. The Classic Studio rooms have modern décor and benefit from either a king or twin beds with stunning city views, kitchenette, Wi-Fi, a luxurious walk-in shower, room service, iron and a washer and drier for laundry. The Classic Suites feature king beds and within the layout is a separate living room with city views. The Premier Suites are more spacious again covering 80 square metres and combine a twin bedroom layout with a king sized bed in one room and twin beds in the second bedroom. These suites have separate living rooms with kitchenette and are well-suited to families or groups who may wish to stay on a short or long term basis. The Al Rawda Ajaan by Rotana houses the Al Dar Restaurant that is open from 6am to midnight and serves a buffet breakfast, lunch and dinner as well as a wide selection of continental dishes from the a la carte menu. 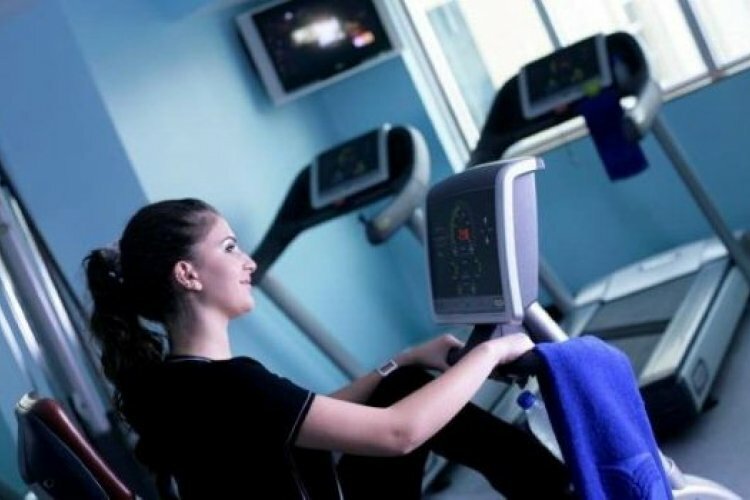 Bodylines Fitness Centre is situated within the Al Rawda Ajaan by Rotana and offers state of the art facilities to help keep you fit with a Slim and Trim clinic. Open from 6am to 11pm the fitness centre features a selection of gymnasium equipment and is the ideal holiday venue for a safe and efficient workout whilst in Abu Dhabi. Al Rawda Ajaan by Rotana guests may also benefit from the use of the swimming pool and private beach at the Beach Rotana Hotel nearby for a nominal fee. The Al Wahda Mall is located just next door to the Al Rawda Ajaan by Rotana and is only a 10-minute drive away from the ADNEC Exhibition Centre. Located close by are all of Abu Dhabi's main attractions and with a population made up of 80% expatriates there is plenty to see and do. These attractions include the world's largest roller coaster at the Ferrari World Abu Dhabi which is the largest indoor theme park in the world as well. The Sheikh Zayed Grand Mosque is a popular spot on the tourist trail along with Yas Waterworld, Al Ain Zoo, souks and Dune adventures.